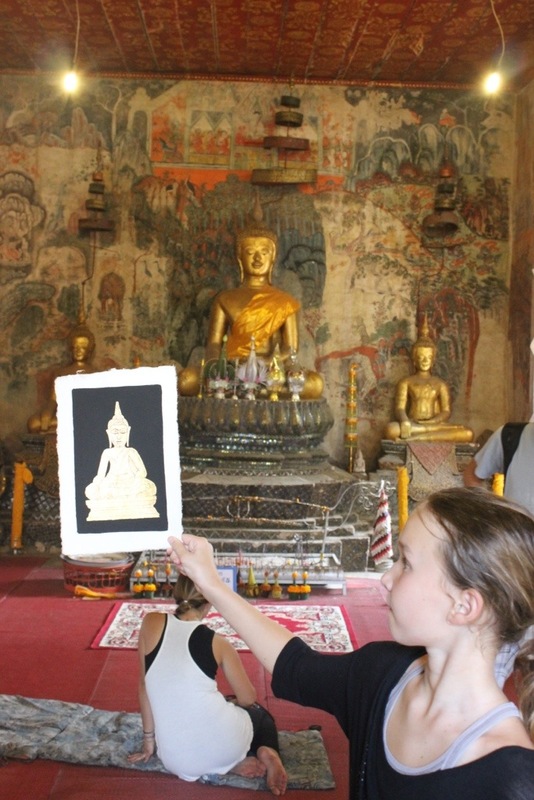 While visiting one of the temples, we saw a table with a display of little statues and painted canvases for sale. To the right of the art was a price list, a book to record what you bought and a bowl to put the money in. We bought the small canvas that Em is holding in the photo. A sign said that any money collected would be used to re-paint the inside of the temple. The bowl was full of money! I love how trusting these people are, but I can imagine if you did take anything- you’d probably get some pretty bad karma coming your way if you steal from monks!